We’ve talked before about how 50% of your O&O costs are tied to the undercarriage of your CTL / MTL. In this Shop Talk Blog post, we are going to discuss the impact of underfoot conditions, operating techniques, and typical applications on the undercarriage. 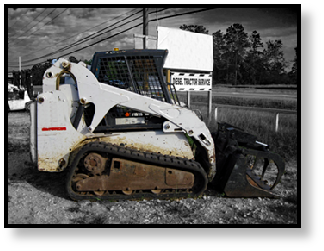 We also talk about how a little bit of job site planning can go a long way in helping to reduce wear and tear on your heavy equipment. 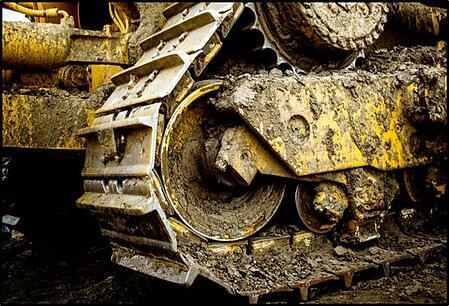 CTL / MTL undercarriages fare the best when working on snow, concrete, turf, clay, mud, or plain old dirt. Materials like milled asphalt, rocks 2” and smaller, and dirt with 10% - 20% rock are a bit harder on both the tracks and the undercarriage as a whole. 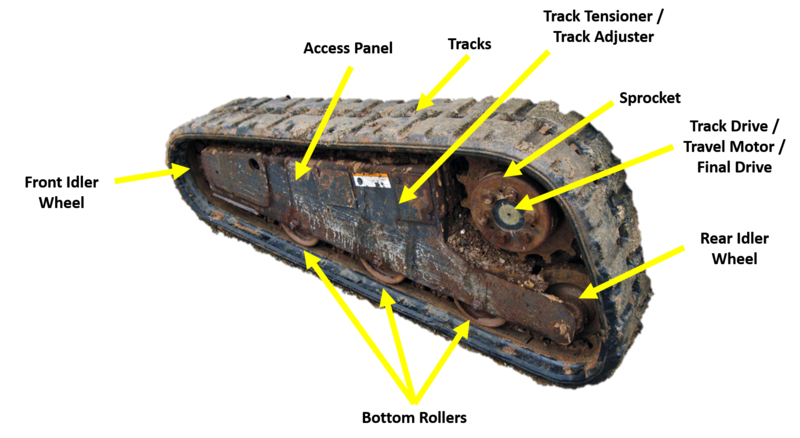 Undercarriages face the most wear when subjected to stones that are more than 2” in diameter, dirt made of 20% to 50% rock, jagged rocks and stones, or debris such as scrap iron or rebar. Some operating techniques are very hard on the undercarriage. The worst of the worst are these: 1) turning while on a transition, and 2) traveling over curbs at anything other than minimum speed. Next on the list of damaging techniques would be counter-rotating, turning while carrying a load, and spinning the tracks. Excessive speed is always a problem, too, as is traveling in reverse when not really necessary. In fact, running in reverse probably wears out the undercarriage faster than anything else. Another big problem for rubber tracks is allowing the side of the tracks to rub against surfaces such as curbs. Some of these techniques might not be avoidable depending on the job. However, others are simply bad operator habits that should be discouraged if you want to minimize O&O costs for the undercarriage. When it comes to applications, recycling and demolition are undoubtedly the harshest on your equipment; CTLs / MTLs are certainly no exception. Right behind demolition would be forestry, cold planning, and using your machine as a dozer. Next would be digging, grading, and trenching, which amounts to normal wear and tear on your CTL or MTL. Finally, the easiest jobs on a CTL / MTL (from the viewpoint of the undercarriage) would be snow, material handling, and using an auger attachment for drilling holes. Another good habit for minimizing O&O costs is to take some time to look over the job site and plan accordingly. Look for areas that have jagged rocks or are filled with job site debris that can seriously damage your tracks and undercarriage and figure out how to avoid them as much as possible. Plan routes that minimize sharp turns and traveling over transitions and curbs. Also try to minimize the time spent working on slopes, especially those that have a slope greater than 3:1. Maintenance and repairs to the undercarriage will be needed on any piece of working equipment, but you can do plenty to reduce that spend. Taking the time to minimize exposure damaging underfoot conditions, avoiding aggressive applications that are hard on the undercarriage, practicing good operating techniques, and taking some time to plan job site routes can go far in reducing the O&O costs that are tied to your undercarriage.